[ 3 February 2013 21:00 to 4 February 2013 02:00. 3 February 2013 21:00 to 4 February 2013 02:00. ] The Ball will be located on the first floor (the piano nobile) in an authentic 14th century Palace: Pesaro Papafava, With its precious gothic facade and its elegant quadriform gothic windows overlooking the canal of the Misericordia. The palace will be illuminated entirely with candlelights to create a memorable atmosphere. Barocco Gran Ball. Homage to Monteverdi, Vivaldi, Scarlatti. [ 17 February 2012 21:00 to 18 February 2012 02:00. ] Baroque movement aims to astonish and amaze the audience with the use of embellishing. 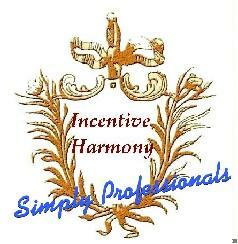 Incentive Harmony offers you a spectacle of music and dances of the Baroque period. The master of dance and its artists will involve the guests in the most famous dances such as the famous Minuet, the Quadrille, the Gavotte and Bourree. [ 11 February 2013 21:00 to 12 February 2013 02:00. ] The Ball will be located on the first floor (the pianonobile) in an authentic 14th century Palace: Pesaro Papafava, With its precious gothic facade and its elegant quadriform gothic windows overlooking the canal of the Misericordia. The palace will be illuminated entirely with candlelights to create a memorable atmosphere. [ 9 February 2013 21:00 to 10 February 2013 02:00. ] The Ball will be located on the first floor (the piano nobile) in an authentic 14th century Palace: Pesaro Papafava, With its precious gothic facade and its elegant quadriform gothic windows overlooking the canal of the Misericordia. The palace will be illuminated entirely with candlelights to create a memorable atmosphere. [ 1 March 2014 21:00 to 2 March 2014 02:00. ] The Gran Ball will be dedicated to the reproduction of the most beautiful arias from “Carmen” of Georges Bizet. It is a story of a love that is born, grows and dies in fiery hearts of the two lovers, the music of Bizet, a rich color in the picturesque grounds, folk dances and songs. full of momentum d ‘ardor and contrast. [ 19 February 2012 21:00 to 20 February 2012 02:00. ] The Ball will be located on the first floor in an authentic 14th century Palace: Pesaro Papafava, With its precious gothic facade & its elegant quadriform gothic windows overlooking the canal of the Misericordia. The palace will be illuminated entirely with candlelights to create a memorable atmosphere. [ 7 February 2013 21:00 to 8 February 2013 02:00. 7 February 2013 21:00 to 8 February 2013 02:00. ] The Ball will be located on the first floor (the pianonobile) in an authentic 14th century Palace: Pesaro Papafava, With its precious gothic facade and its elegant quadriform gothic windows overlooking the canal of the Misericordia. The palace will be illuminated entirely with candlelights to create a memorable atmosphere. La Dolce Vita Grand Ball Homage to The Belle Epoque and Burlesque. [ 16 February 2012 21:00 to 17 February 2012 02:00. 16 February 2012 21:00 to 17 February 2012 02:00. ] After last year’s extraordinary success, we will be proud to represent again The Great Grand Ball of Burlesque Show. Impressive, exciting & plenty of joy. It will takes your breath away with the beauty of the girls performance. La Dolce Vita, The Burlesque Grand Ball. [ 12 February 2013 21:00 to 13 February 2013 02:00. ] The Ball will be located on the first floor (the piano nobile) in an authentic 14th century Palace: Pesaro Papafava, With its precious gothic facade and its elegant quadriform gothic windows overlooking the canal of the Misericordia. The palace will be illuminated entirely with candlelights to create a memorable atmosphere. Opera “La Traviata” Homage to Giuseppe Verdi. [ 10 February 2013 21:00 to 11 February 2013 02:00. ] The Ball will be located on the first floor (the piano nobile) in an authentic 14th century Palace: Pesaro Papafava, With its precious gothic facade and its elegant quadriform gothic windows overlooking the canal of the Misericordia. The palace will be illuminated entirely with candlelights to create a memorable atmosphere. [ 21 February 2012 21:00 to 22 February 2012 02:00. ] The Ball will be located on the first floor in an authentic 14th century Palace: Pesaro Papafava, With its precious gothic facade & its elegant quadriform gothic windows overlooking the canal of the Misericordia. The palace will be illuminated entirely with candlelights to create a memorable atmosphere. San Valentono Grand Ball and Duetti D’Amore. Dedicated to the lovers’ feast. [ 7 February 2016; 16:00 to 18:30. ] The Afternoon’s Ball takes place in the Sansovino salon of Palazzo Ca’ Pesaro Papafava, an authentic 14th Century palace with an exclusive water entrance.And will be characterized by the hot chocolate. The Arlecchino Grand Ball and Commedia Dell’Arte. [ 27 February 2011 21:00 to 28 February 2011 02:00. ] Sunday February 27th, 2011. The Baroque Grand Ball. Dance masters will show the dance steps inviting all the guests to relive the Baroque Venice. [ 28 February 2014 21:00 to 1 March 2014 02:00. ] The Baroque is a period of artistic style with an exaggerated motion in exuberance and grandeur The Baroque period had a big influence on a different style of dance and music. The Baroque movement aims to surprise and amaze the audience. Our spectacle of Baroque will introduced the nicest elegant of music and dance of that period. The Dogaressa Grand Ball and the Three Tenors & Show of Historical Fantasy Costumes. [ 18 February 2012 21:00 to 19 February 2012 02:00. ] The Ball will be located on the first floor in an authentic 14th century Palace: Pesaro Papafava, With its precious gothic facade & its elegant quadriform gothic windows overlooking the canal of the Misericordia. The palace will be illuminated entirely with candlelights to create a memorable atmosphere. Performance of selected arias from the opera The Barber of Seville by Gioachino Rossini. [ 6 February 2015 21:00 to 7 February 2015 02:00. ] The Dogaressa Grand Ball takes place in the piano nobile of Palazzo Ca’ Pesaro Papafava, an authentic 14th Century palace with an exclusive water entrance. Gothic windows overlook the alluring Misericordia canal. During the gala dinner, only candlelight and classical music illuminate the ancient rooms, whisking guests back to a time of enchantment. [ 7 February 2016 21:00 to 8 February 2016 02:00. ] The Homage to Gioachino Rossini Grand Ball takes place in the “piano nobile” of Palazzo Ca’ Pesaro Papafava, an authentic 14th Century palace with an exclusive water entrance. Gothic windows overlook the alluring Misericordia canal. During the gala dinner, only candlelight and classical music illuminate the ancient rooms, whisking guests back to a time of enchantment. Guests will be entertained by arias from Rossini’s “The Barber of Seville”, one of the most beloved operas of all time. [ 4 February 2016 21:00 to 5 February 2016 02:00. ] The Grand Ball of the Belle Époque takes place in the “piano nobile” of Palazzo Ca’ Pesaro Papafava, an authentic 14th Century palace with an exclusive water entrance. Gothic windows overlook the alluring Misericordia canal. During the gala dinner, only candlelight and classical music illuminate the ancient rooms, whisking guests back to a time of enchantment. Performance of selected arias from the opera The Merry Widow. [ 17 February 2015 23:00 to 18 February 2015 02:00. ] Welcome to the After Dinner! [ 17 February 2015 21:00 to 18 February 2015 02:00. ] The Minuet Grand Ball on Mardi Gras, the last night of Carnival, takes place in the piano nobile of Palazzo Ca’ Pesaro Papafava, an authentic 14th Century palace with an exclusive water entrance. Gothic windows overlook the alluring Misericordia canal. During the gala Shrove Tuesday dinner, only candlelight and classical music illuminate the ancient rooms, whisking guests back to a time of enchantment. The elegant Minuet was the favorite dance of European aristocrats. The masters of dance introduce guests to the Minuet, Gavotte and Jigs, and offer instruction in the ballrooms of the ancient palace. Join hands and dance the open-chain farandole throughout the palazzo – a perfect way to end Carnival. [ 9 February 2016 21:00 to 10 February 2016 02:00. ] The Minuet Grand Ball on Mardi Gras, the last night of Carnival, takes place in the “piano nobile” of Palazzo Ca’ Pesaro Papafava,an authentic XVth century palace with an exclusive water entrance. Gothic windows overlook the alluring Misericordia canal. During the gala Shrove Tuesday dinner, only candlelight and classical music illuminate the ancient rooms, whisking guests back to a time of enchantment. The Renaissance Grand Ball. The Guests Will be Invited by the Masters to Learn and Dance the Renaissance Dances. [ 23 February 2014 21:00 to 24 February 2014 02:00. 23 February 2014 21:00 to 24 February 2014 02:00. ] The Renaissance Ball is to relive the atmosphere of dances during the Renaissance period. Ball will feature music and dances of the fifteenth and sixteenth centuries, presented by dancers in period costume and music performers of the time between troubadours and minstrels. [ 30 January 2016 21:00 to 31 January 2016 02:00. ] The Serenissima Grand Ball takes place in the “piano nobile” of Palazzo Ca’ Pesaro Papafava, an authentic 14th Century palace with an exclusive water entrance. Gothic windows overlook the alluring Misericordia canal. During the gala dinner, only candlelight and classical music illuminate the ancient rooms, whisking guests back to a time of enchantment. [ 22 February 2014 21:00 to 23 February 2014 02:00. ] The Serenissima Grand Ball will be entirely dedicated to Giuseppe Verdi, an Italian composer of opera. The Serenissima Grand Ball. Homage to Mozart with the Opera Marriage of Figaro. [ 11 February 2012 21:00 to 12 February 2012 02:00. ] The Ball will be located on the first floor in an authentic 14th century Palace: Pesaro Papafava, With its precious gothic facade & its elegant quadriform gothic windows overlooking the canal of the Misericordia. The palace will be illuminated entirely with candlelights to create a memorable atmosphere. [ 2 February 2013 21:00 to 3 February 2013 03:00. 2 February 2013 21:00 to 3 February 2013 03:00. ] The Ball will be located on the first floor (the piano nobile) in an authentic 14th century Palace: Pesaro Papafava, With its precious gothic facade and its elegant quadriform gothic windows overlooking the canal of the Misericordia. The palace will be illuminated entirely with candlelights to create a memorable atmosphere. [ 8 February 2013 21:00 to 9 February 2013 02:00. 8 February 2013 21:00 to 9 February 2013 02:00. ] The Ball will be located on the first floor (the pianonobile) in an authentic 14th century Palace: Pesaro Papafava, With its precious gothic facade and its elegant quadriform gothic windows overlooking the canal of the Misericordia. The palace will be illuminated entirely with candlelights to create a memorable atmosphere.